Discover our student residence in Tours, ideally located close to the Faculty of Sciences of Granmont, to public transport and to shops. Our student residence in Tours is also close to many schools like the UFR Pharmaceutical Sciences Philippe, the UFR Sciences and Techniques, Polytech Tours, as well as the European Business School ESCEM, and the School of Commerce and Management Tours-Poitiers. Start now your student life in a student residence in Toursby living in one of our apartments. All of our accommodations are equipped with a kitchenette, a sofa bed, a desk area, a bathroom with shower and toilet, and a broadband Internet connection. 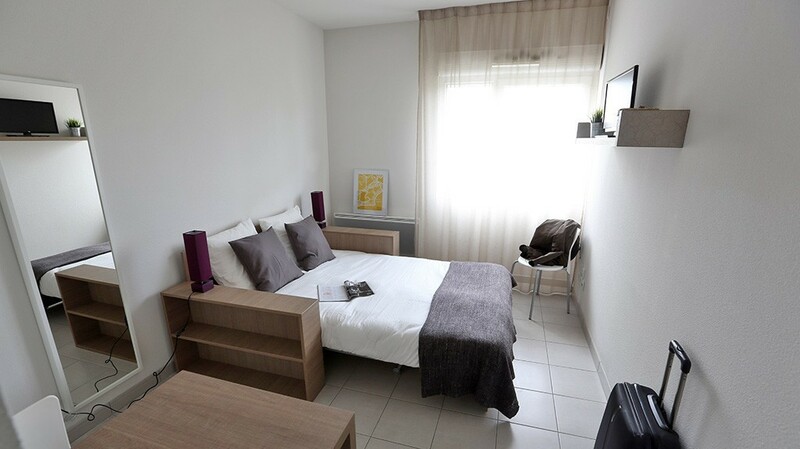 Choose one of our fully equipped apartments in our student residence in Tours as from €432 / month. Enjoy all the comfort of an equipped accommodation for a small price. Opt for facility thanks to our many advantages and available services in the heart of our student residence in Tours. For more information, contact us at +33 (0)2 47 29 99 30 or by e-mail at tours@studyoresidences.fr.